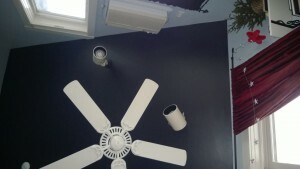 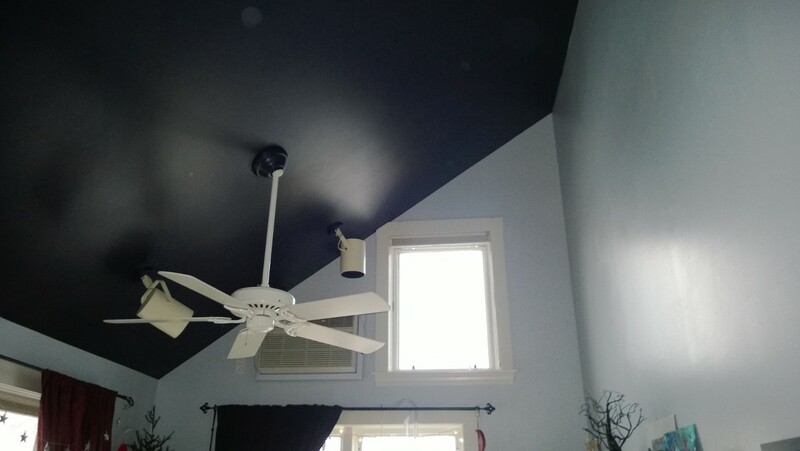 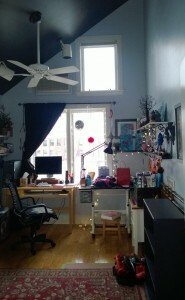 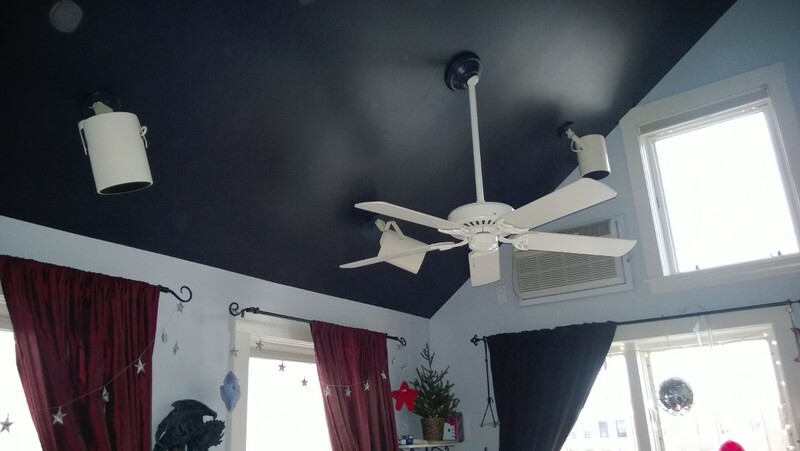 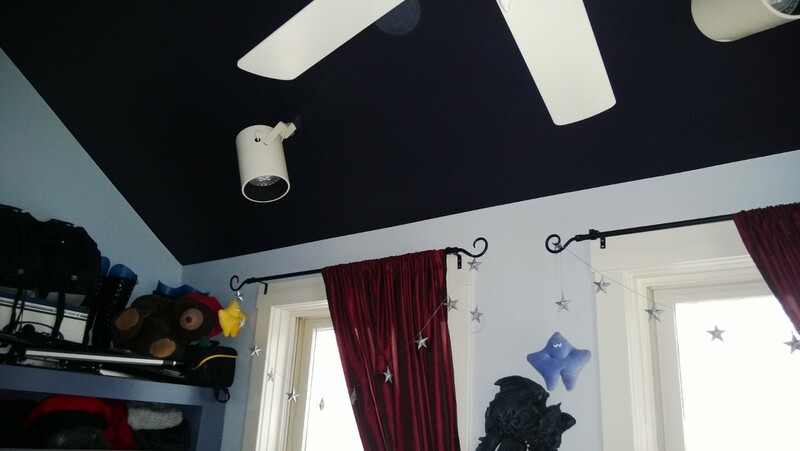 Even though most ceilings are painted with matte finish, I had them mix mine as a semi-gloss. 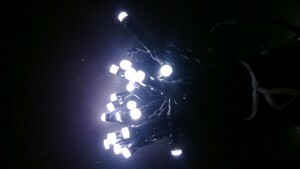 I wanted a slight sheen so when I hang up miniature LED lights across it, they’ll glow brilliantly like stars. I am not completely sure yet how I’ll attach them – I’m thinking with little cable clips, but maybe a staple gun would work better? I’ll have to do some research so I don’t ruin the ceiling!